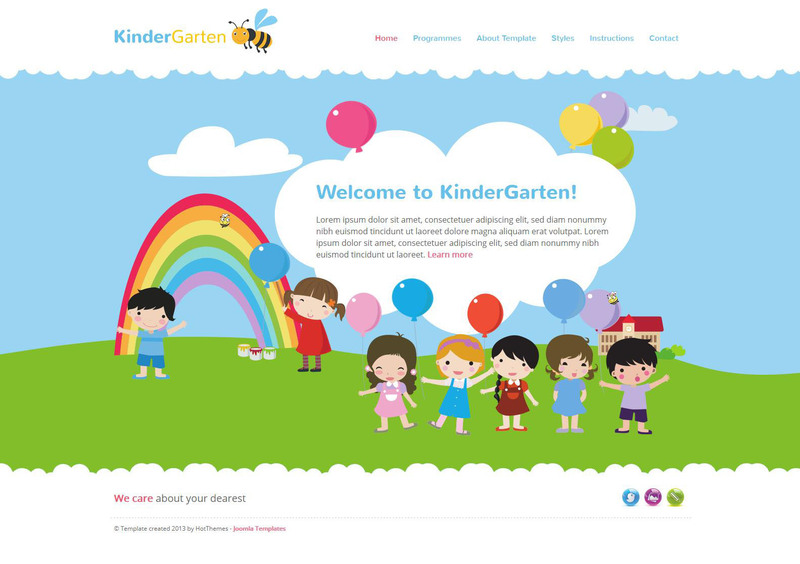 HOT KinderGarten - Developed by beautiful template HotJoomla, Which is designed to create websites for Children. Animation template based on CSS3, thanks to some design elements look more dynamic. Initially, the template was performed in soft and bright colors, but it is possible to change the design with three color schemes to choose from. For quick and easy setup layout developers used Sparky Framework, which contains built-manager. KinderGarten provided good optimization, high speed download and has adapted functions. HOT KinderGarten - a great solution for creating websites of educational institutions for children.